Seascape paintings is truly unique art genre whose history is very rich. We can trace seascape paintings back to the ages when artists began to paint. Battles on sea, boats, islands – those were the subjects of the first seascape paintings. This genre could be also named as marine art, and, as its name says, it depicts sea. Although one could assume that seascapes were often used by artists in both Modern and Contemporary art, it’s not actually true. There were times when actually no one was working with this genre. 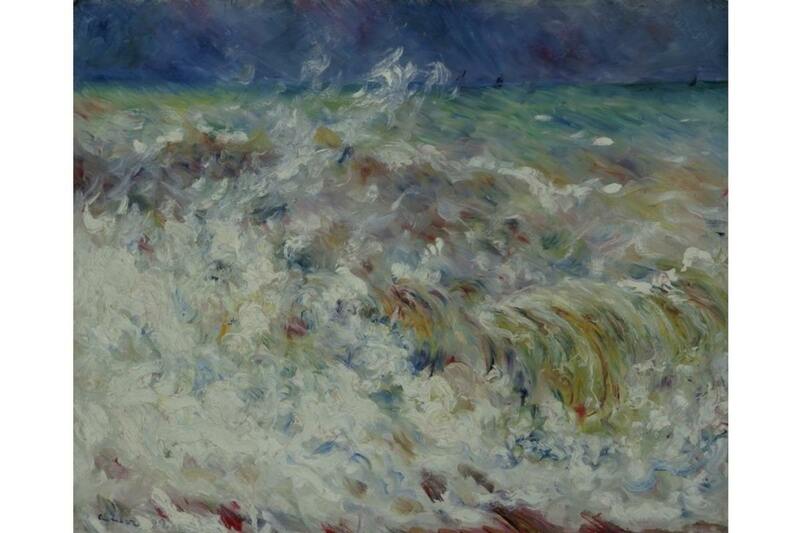 We could not name a single famous artist in Modern Art who focused exclusively on seascape. Things have changed a bit with the avant-garde. With avant-garde, seascape paintings are not so present; simply, there aren’t many contemporary artists whose focus would be on seascape or on landscape in general. However, as always, there are remarkable exceptions, and we would like to share with you a chronological overview of the evolution of the seascape paintings. When someone researches the topic of seascapes, he/she can be truly amazed with the beauty of these paintings. For a moment, you forget the forms and concepts and just enjoy the beauty in the purest aesthetical mean. From Claude Monet and his fascinating paintings to the abstract expressionists, a viewer remains stunned with the pure beauty of these representations of sea. Today, when we could say that the art is flooded by the sea of concepts, it’s nice to take a look back, to the depictions of sea in different periods of Modern and Contemporary Art history. Styles have changed, as well as techniques – only subject-matter remains the same. Many things have changed, including the media as well. 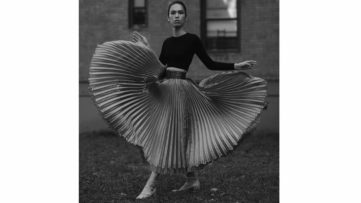 Therefore, we have also a photography on this list, since contemporary photography and its evolution dramatically influenced the themes in contemporary painting. Seascape paintings has always been popular among artists. But, not only among artists, but also among those who posses a certain level of artistic skills, but they are not „art professionals“. 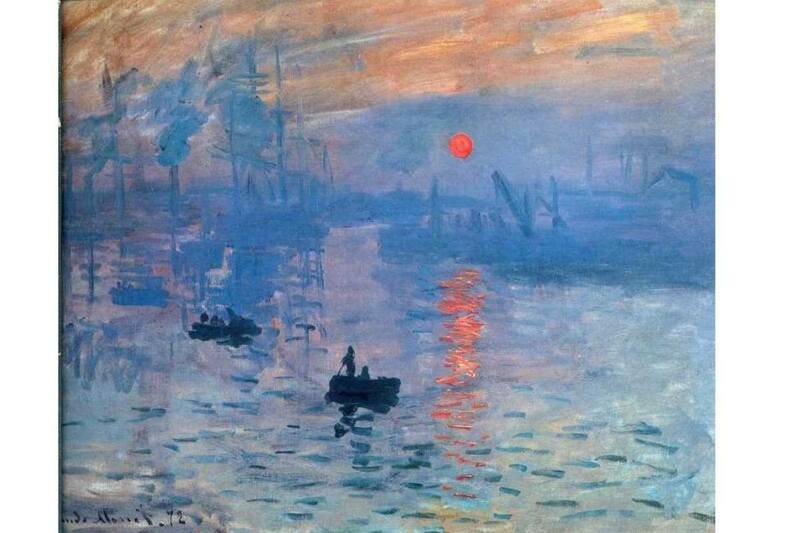 As we mention in this article, seascape paintings is not maybe as popular as it used to be. The contemporary photogoraphy has influenced a lot the way seascapes are being artisticly represented. However, even if you are a fan of old masters’ practice, or you prefer more contemporary approaches, you can try to paint seascapes as well. Therefore, we recommend you this book that provides quite usufel tips for a successful seascape painting. In the case of this book, it’s about techniques in oil. So, scroll down, and see how the seascape paintings has evolved, and enjoy the beauty! 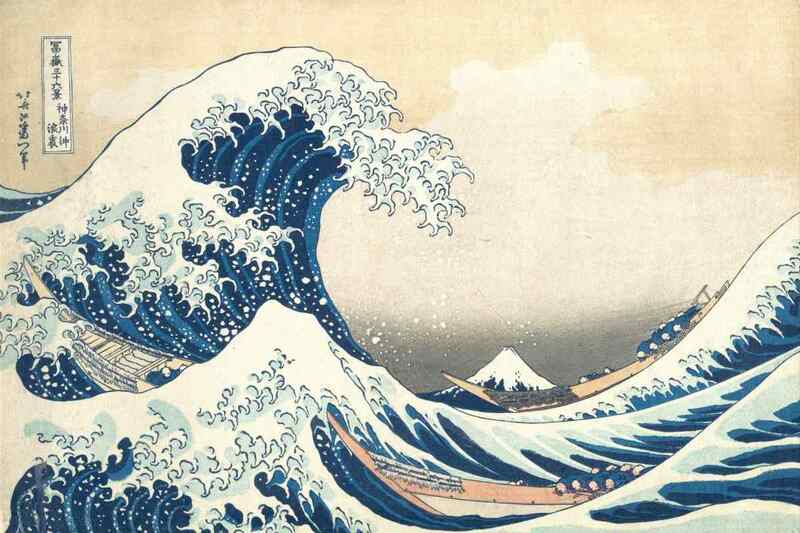 This piece is probably the best-known artwork of Japanese art in the world. It is certainly the most important piece by Katsushika Hokusai, a famous Japanese artist best known for his woodblock prints. It depicts an enormous wave threatening boats off the coast of the prefecture of Kanagawa. While sometimes assumed to be a tsunami, the wave is, as the picture’s title suggests, more likely to be a large rogue wave. The Slave Ship, originally titled Slavers Throwing overboard the Dead and Dying—Typhon coming on, is a painting by the British artist J. M. W. Turner, first exhibited in 1840. The painting is a classic example of Romantic maritime painting. The painting depicts a ship, visible in the background, sailing through a tumultuous sea of churning water and leaving scattered human forms floating in its wake. 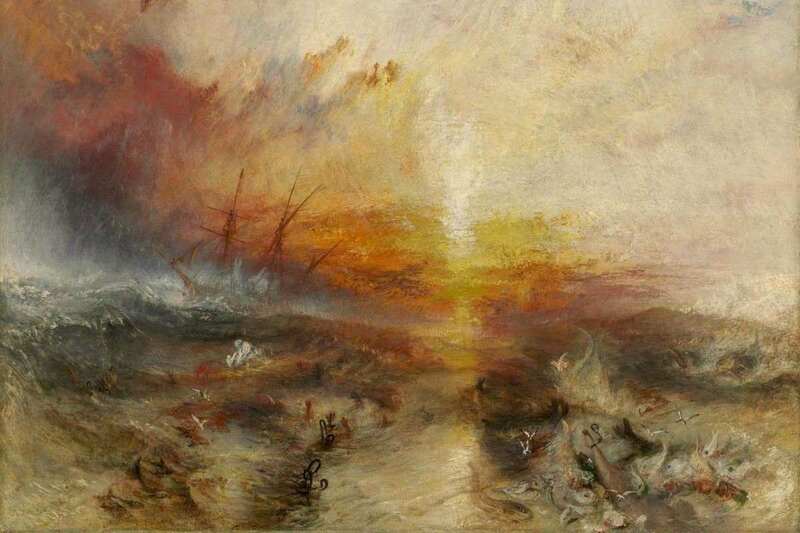 Some viewers have argued that The Slave Ship actually represents Turner’s reaction to the Industrial Revolution. The painting might be viewed as an allegory against the exploitation of slaves and other human labor in favor of machines and economic advancement, represented by the coming storm engulfing the cruel captain. Luxe, Calme et Volupté is an oil painting by the French artist Henri Matisse. Both foundational in the oeuvre of Matisse and a pivotal work in the history of art, Luxe, Calme et Volupté is considered the starting point of Fauvism. 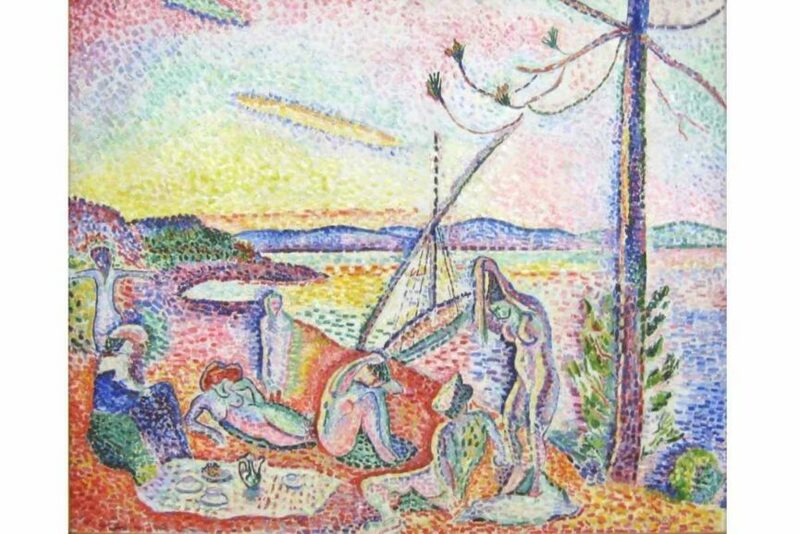 The painting is Matisse’s most important work in which he used the Divisionist technique advocated by Signac, which Matisse had first adopted after reading Signac’s essay D’Eugène Delacroix au Néo-impressionisme in 1898. Executed in 1969, Seestück (Leicht bewölkt) is a majestic photo-realist painting by Gerhard Richter from a small, seminal group of seascapes. In Seestück (Leicht bewölkt), Richter has skillfully translated onto canvas the sublime air and atmosphere of the open water, his washes of color building to create clouds and reflective sea with a unique transparency. 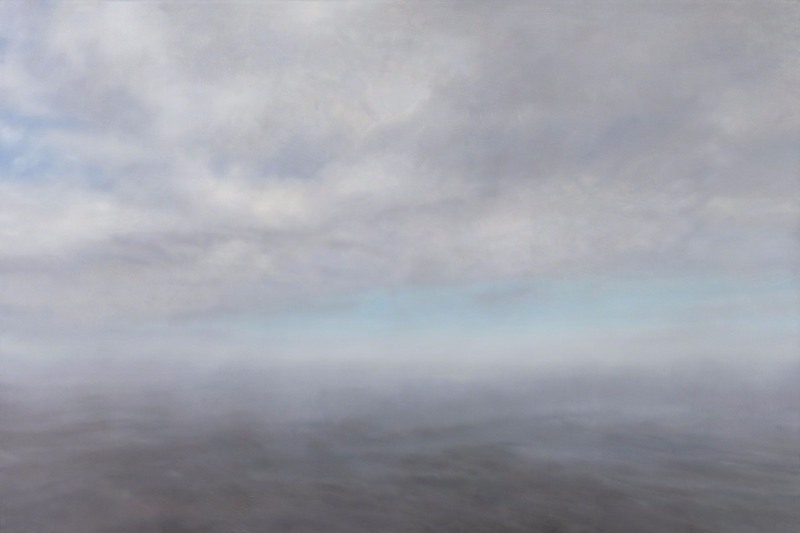 Richter has combined two unmatched photographs: one of the sky and one of an unnamed sea, faithfully rendering them in paint. The artist’s technique is captivating through his use of countless tonal adjustments that constantly manipulate the spectator’s focus. Enzo Cucchi is an Italian artist born in 1949. 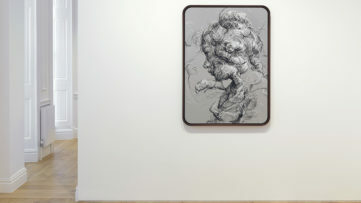 Apart from paintings, he also creates drawings and sculptures. 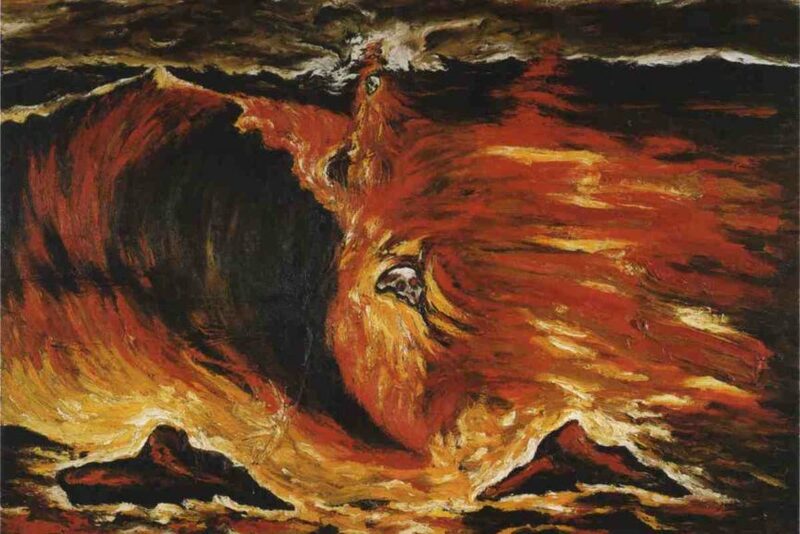 He consistently favored a titanic scale, heavily textured surfaces and a fundamentally intuitive and anti-intellectual approach, portraying the universe in apocalyptic terms as a battlefield of elemental forces: light against dark, life and death, creation and destruction. The compressed and flattened space of his early paintings gave way to illusions of deep, cavernous space, for example in his imaginary landscapes and seascapes, such as Un Sospiro di un onda. Eric Fischl is an American painter, sculptor and printmaker. 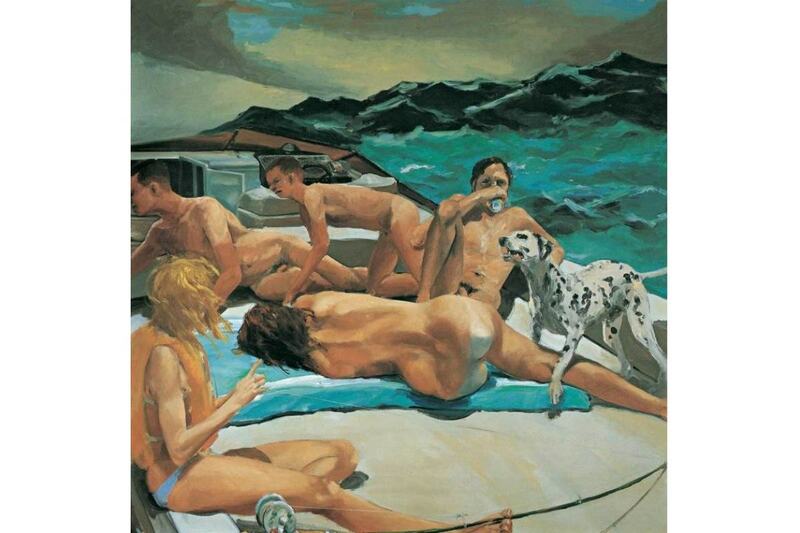 Some of Fischl’s earlier works have a theme of adolescent sexuality and voyeurism. This is also visible in his painting The Old Man’s Boat and the Old Man’s Dog which is a clearly seascape painting, but also depicting naked men and women. 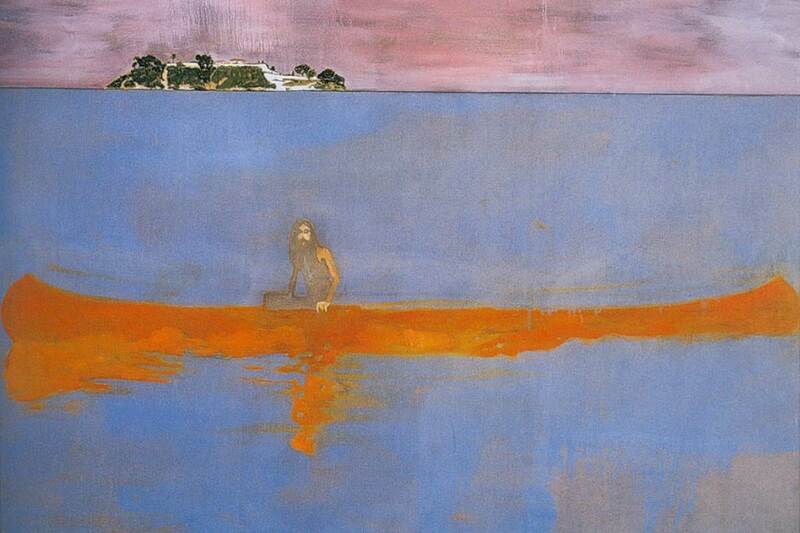 Peter Doig is one of the most renowned living figurative painters. Many of Doig’s paintings are landscapes, somewhat abstract, with a number harking back to the snowy scenes of his childhood in Canada. He draws inspiration for his figurative work from photographs, newspaper clippings, movie scenes, record album covers and the work of earlier artists like Edvard Munch. One of the characteristics in a number of his works is the use of magic realism, which is visible in the beautiful painting 100 Years Ago. As we mentioned in our introduction, contemporary photography dramatically influenced the themes in contemporary painting. 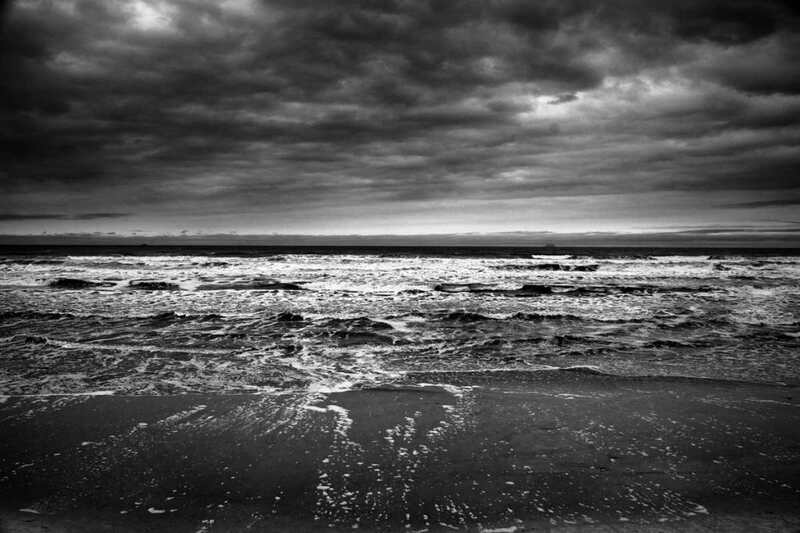 Therefore, we decided to put one photograph on our list, and we choose an amazing photographer Sebastiao Salgado, and his beautiful depiction of sea. Sebastiao Salgado is a Brazilian social documentary photographer and photojournalist. Between 2004 and 2011, Salgado worked on Genesis, aiming at the presentation of the unblemished faces of nature and humanity. It consists of a series of photographs of landscapes and wildlife. Featured Images: Katsushika Hokusai – The Wave (courtesy of images.metmuseum.org); Pierre-Auguste Renoir – The Wave; William Turner – Slave Ship, detail; Claude Monet – Impression, Sunrise; Henri Matisse – Luxe, Calme et Volupte; Gerhard Richter – Seestück; Enzo Cucchi – Un Sospiro di un onda, detail (courtesy of mutualart.com); Eric Fischl – The Old Man’s Boat and the Old Man’s Dog; Peter Doig – 100 Years Ago (courtesy of zoowithoutanimals.com); Sebastiao Salgado – Praia de Itanhaém(courtesy of flickr.com). All Images used for illustrative purposes only.